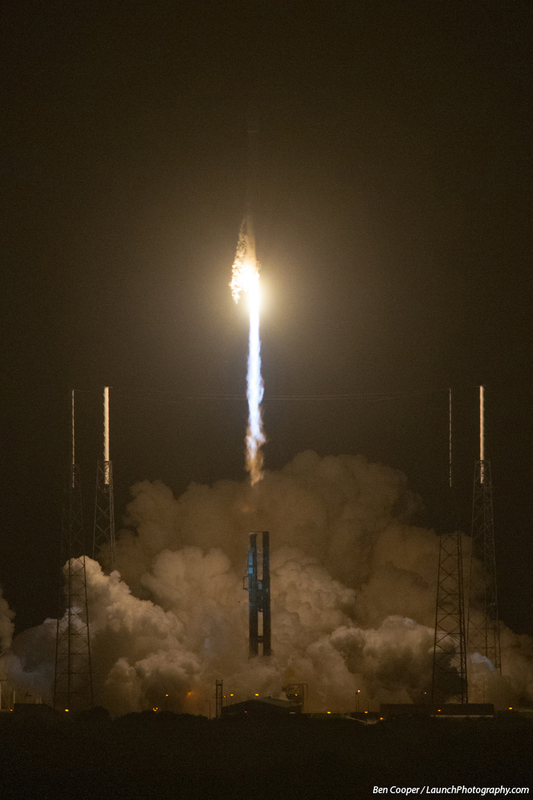 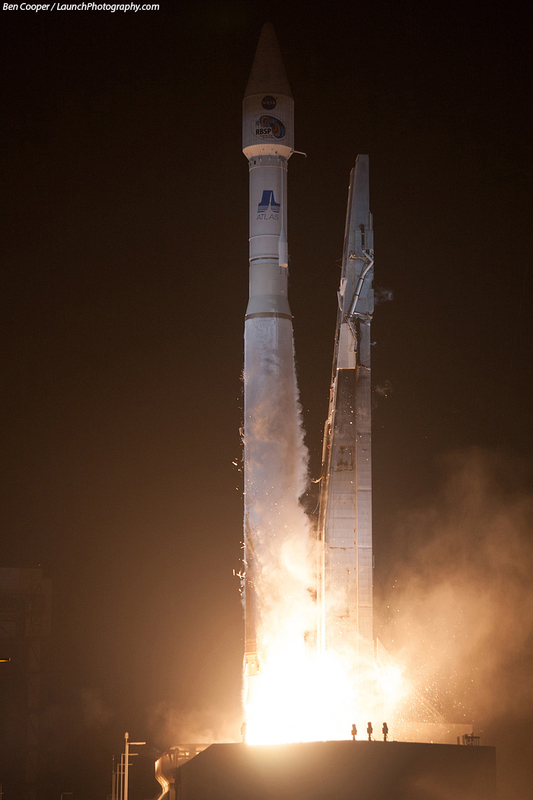 An Atlas 5 rocket launches NASA's Radiation Belt Storm Probes (RBSP) mission, twin probes that will study the effects of the solar wind stream on electrons and ions in Earth's radiation belts, such as how they change during geomagnetic storms. 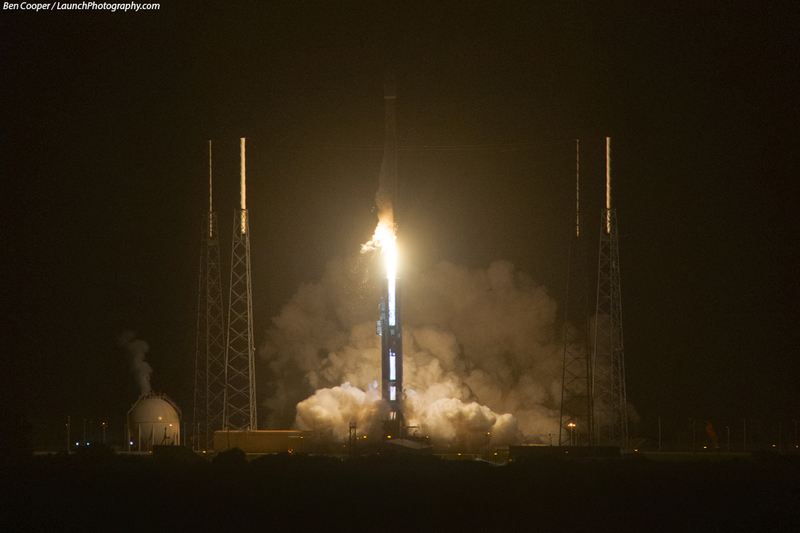 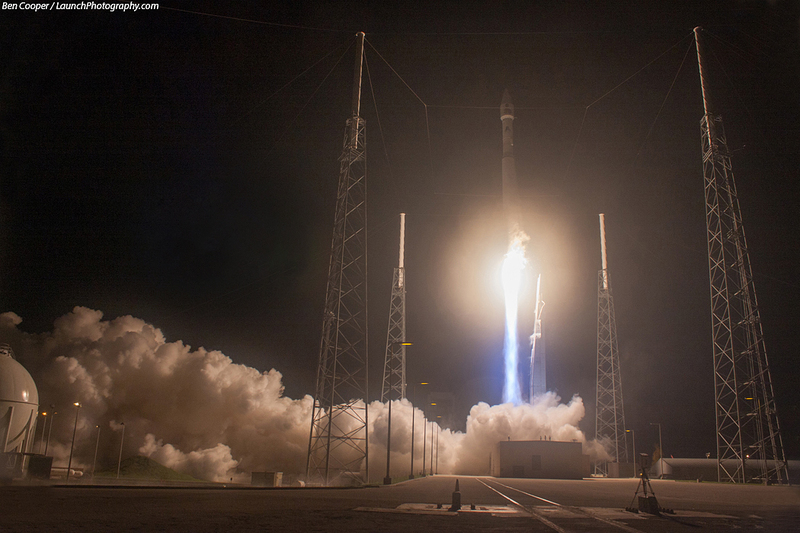 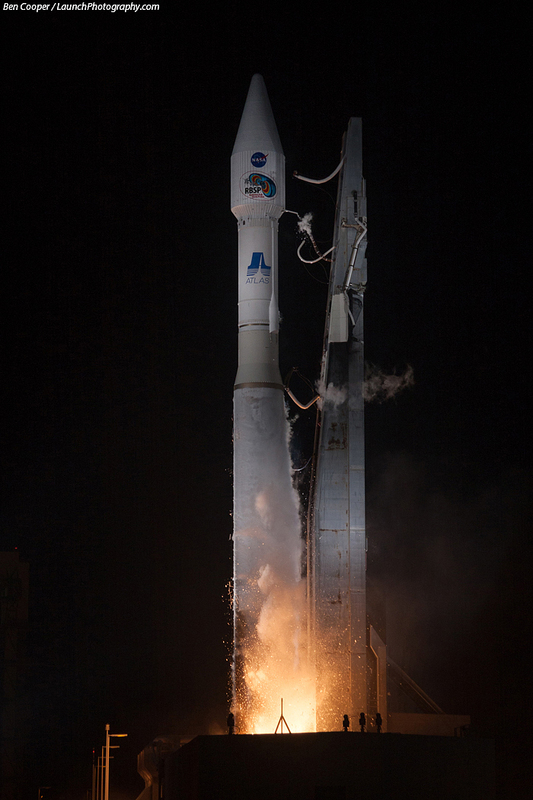 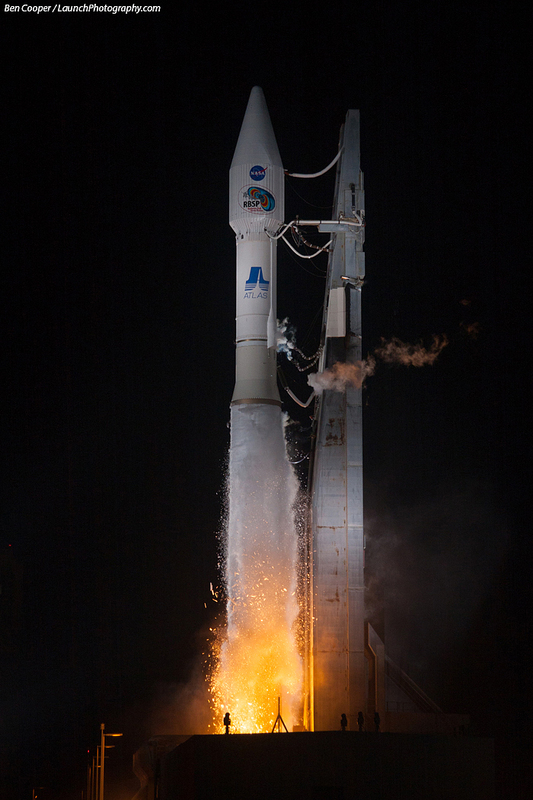 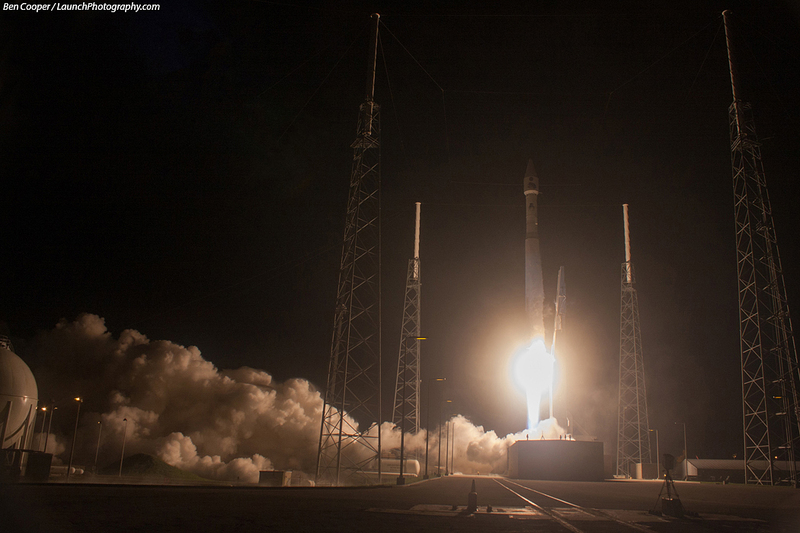 Launch took place in the pre-dawn hours of August 30 aboard an Atlas 5 rocket flying in the minimal 401 configuration with no solid rocket boosters. 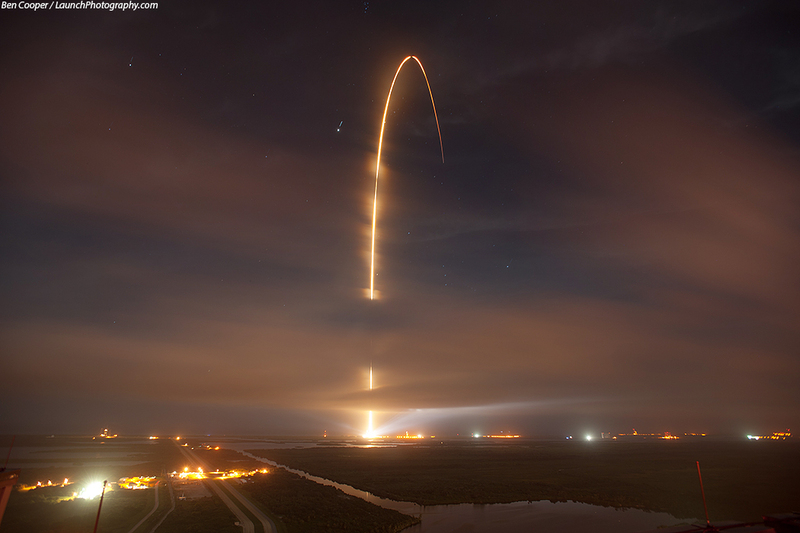 This was my 100th launch photographed over 13 years!